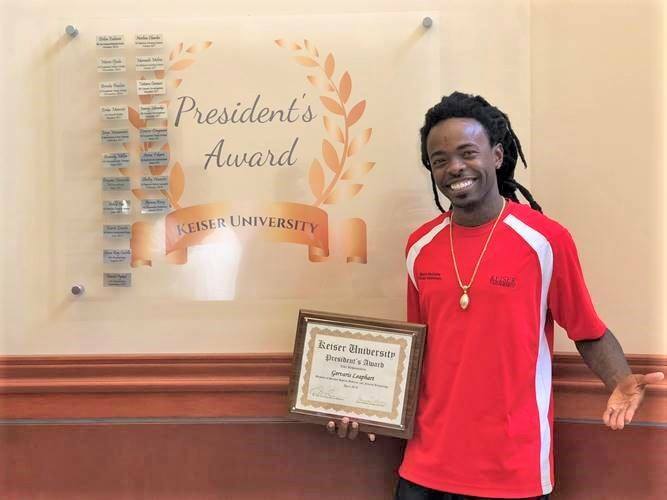 I thought you all may want to know that Keiser University has recognized Gervaris as this year’s President’s Award Winner for outstanding work both in school and in the community. There is something to be said for Gervaris because when he came to us 9 years ago and shared his “plan” with us on how he was going to turn his life around and spend the entire rest of his life making sure kids in his community get on the right path earlier than he did…….it was true…every single thing he said he was going to do…he has done it….and he isn’t finished yet! This entry was posted in Bail Agents and Agencies. Bookmark the permalink.